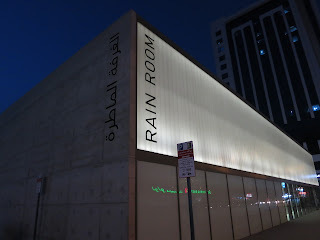 In our search for new and exciting experiential moments we happened upon the Rain Room in one of the other Emirates close to Dubai here in Sharjah. 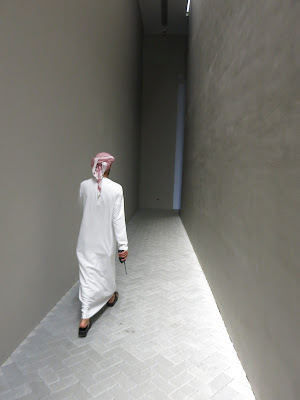 We seem to remember this at the Barbican back in London a few years ago and of course the concept has been snapped up by the middle east where it barely rains. Oddly the only others visiting here at the time were other Europeans (clearly craving some rain). After being taken down to the space by a local guide who demonstrated how slow you need to move through the space we gave it a go ourselves. 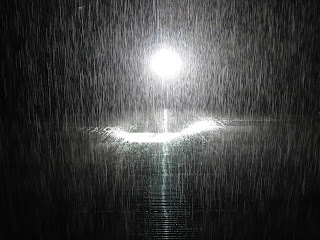 Yes, we got wet, but as the heat outside of the space is so ferocious even at night time you soon dry off.